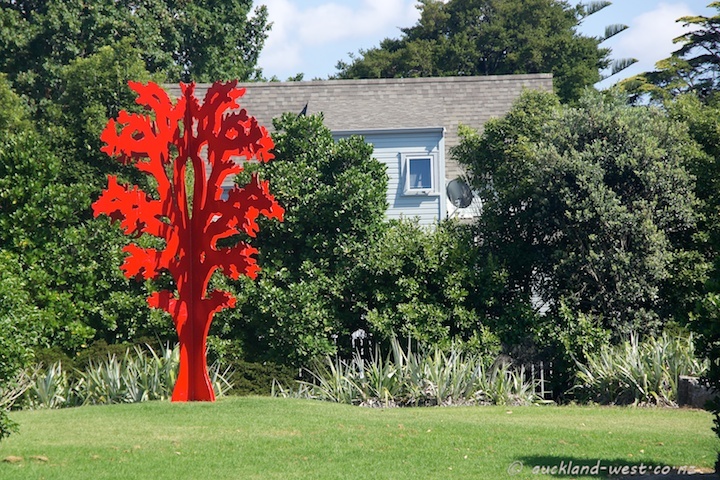 Five metres high and bright red, this sculpture “Tree” by Caroline Rothwell stands at the back of Rocket Park, Mount Albert. I like it. It’s cheerful.